Sunn O))), Remember Remember, Caribou, Head of David, Khyam Allami and Arbouretum. 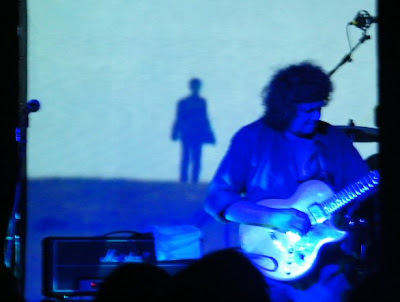 The highlight, however, had to be '70s/'80s Italian prog rockers Goblin (above) who played a lengthy selection from their career (including tracks from 'Profondo Rosso', 'Suspiria', 'Zombi' and 'Tenebre') and also took part in a Q&A session. They were by far the best dressed band.